From the iconic Guinness Storehouse to the ever popular Dublin Zoo, the National Gallery of Ireland and the historical Fusilier’s Arch, Dublin is a visitor’s delight. The capital of Ireland, Dublin can keep tourists fascinated for days with its myriad architectural sites, national parks, aquatic centers, cathedrals and museums of modern art. You will need to spend more than a week to cover it all. Most boutique hotels are situated at the heart of Dublin city, a short distance away from the city’s most popular attractions. Each hotel is architecturally unique and distinctive on the outside, while the inside is designed to offer guests the ultimate in luxury and comfort. Staying in one of the trendy boutique hotels in Dublin is a must for a spellbinding experience like no other. 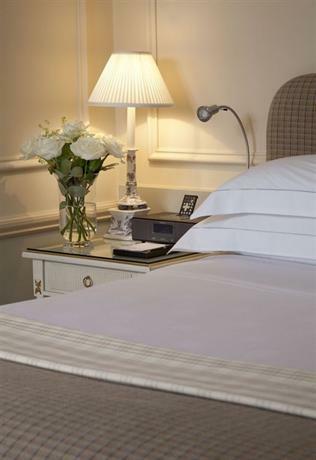 Located in the heart of Georgian Dublin is the city’s most luxurious five-star hotel- The Merrion Hotel. This trendy boutique hotel is within walking distance of popular galleries, museums, Grafton Street and several other attractions so you can explore any attraction at leisure and come back to the hotel to relax for a bit before going out again. The hotel’s 142 rooms and suites are decorated to combine comfort, luxury and elegance. Every room overlooks stunning landscapes. With the Cellar Restaurant which serves Irish cuisine, The Cellar Bar which is a gastro-pub and Restaurant Patrick Guilbaud which is a two Michelin star spectacular fine dining restaurant, the Merrion Hotel leaves you spoilt for choice when it comes to fine dining. You can sip on afternoon tea any time of the year at the Drawing Rooms that have cozy open log. There’s also the Garden Terrace - great place to sit back and relax, especially during the summer months. With its distinctly Irish landscape, urban, simplistic setup and relaxing holiday vibe, the Marker Hotel creates an experience that is truly one of a kind. 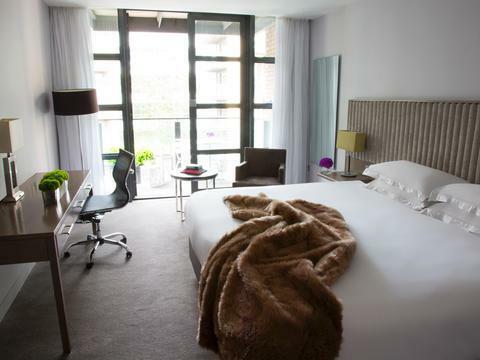 This unique boutique hotel offers 187 rooms and suites, each of which overlooks mesmerizing views of the Grand Canal Square and other iconic architectural landmarks. Every suite and room is self-contained and configured in a distinct way so that it best suits your needs and preferences. The rooms and suites are categorized into presidential suites, luxury one bedroom suites, corner suites, superior rooms, luxury corner suites and deluxe rooms. The Rooftop Bar and Terrace provides deliciously put together cocktails and offers panoramic views of the cityscape while the Marker Bar exudes a chilled out and relaxed ambience. If you are looking for traditional Irish dishes prepared from locally sourced produce, you must visit the Brasserie for the ultimate Irish fine dining experience. You can also relax and unwind at the spa that offers a range of treatments that offer you respite from the chaos of the outside world. Stylish and sophisticated, the Radisson Blu Royal Hotel Dublin is host to some of the most prestigious and novel events held in Dublin. 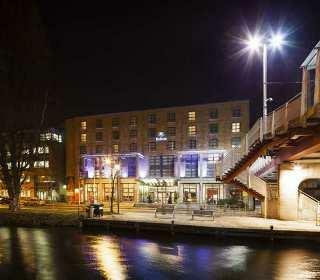 This trendy boutique hotel is located in the heart of the Irish capital, not very far from exciting shopping centers, Georgian architectural sites, and other popular attractions including several famous Irish pubs. The on-site V’nV Restaurant is very upmarket and offers scrumptious Irish and French dishes. You can relish on the culinary masterpieces at the restaurant or you can also order room service and eat in the comfort of your own space. All 150 rooms and suite are spacious and designed with clean design elements and contemporary furnishings. Guests enjoy complimentary tea and coffee provisions and free high speed wireless internet access in their rooms. For fitness buffs, the hotel offers complimentary access to the Iveagh Fitness Club, a well-equipped gym located nearby on Bide Road. In addition to the gym, guests can also use the fabulous swimming pool and other facilities. 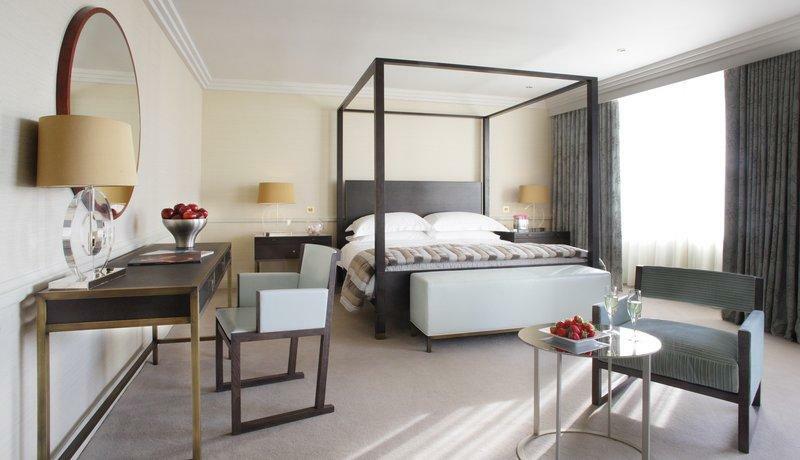 The Westbury Hotel is known as much for its luxury and modern, edgy style as for its exemplary customer service. You can expect nothing but the best when you stay at this luxurious modern boutique hotel. Guests can choose from 27 suites and 178 guest rooms, all of which are specially furnished with bespoke Irish wool carpets, sleek silk blackout curtains and plush mohair-covered George Smith chairs. No matter what type of room you book, you are in for an unforgettably luxurious and relaxing experience. Situated in the heart of Dublin’s Grafton Street Shopping district, the sumptuous Afternoon Tea served at the Westbury Hotel has become an Irish tradition. Dinner at the WILDE is another unique experience with its relaxed interior setting and scrumptious buffet offering local dishes and ingredients as well as classic cuisines from round the world. Luxury services, in-room dining and accommodation for the entire family, everything is taken care of in inimitable style. 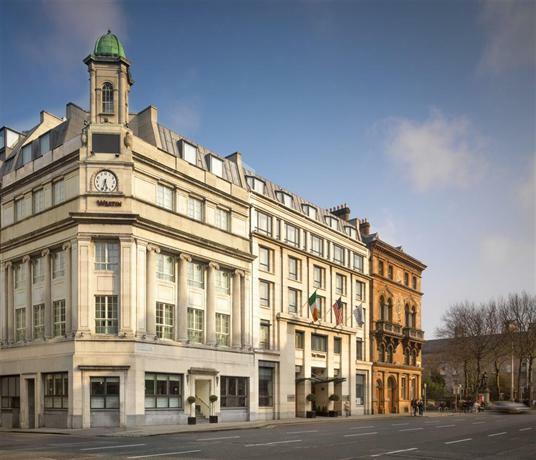 The Fitzwillian Hotel Dublin is known for its smart, friendly, warm and welcoming vibe. First time visitors to this trendy boutique hotel are sure in for a fantastic surprise. Set against a chic, contemporary backdrop, the hotel is a haven for those looking for some quiet respite after a buzzing day of activity in the vibrant city. With suites and rooms labeled as signature, deluxe, superior, deluxe premium and penthouse, each room has something unique to offer. The rooms are self sufficient and come with complimentary Wi-Fi, tea and coffee, a mini-bar and a laptop friendly safe to make your duration of stay even more efficient and enjoyable. While the Spirit Beauty Salon follows a holistic approach to a variety of beauty therapies, the Citron is a great place for lunch as it makes for casual dining and if you want to indulge in some evening cocktails and a heart dinner, head to Inn on the Green. It all blends in perfectly to make sure that you have a memorable time in the Irish capital. Classic comfort meets contemporary design at The Croke Park Hotel. Choose from superior rooms, family rooms and deluxe rooms as you lay back and relax even with your family in tow. The décor and interiors of the rooms are tranquil and comforting as much as they are eye-catching. The Sideline Bistro & Bar lifts up your spirits with its welcoming and friendly ambience while you sip on wine, beer and gorge on delightful items from a menu that is predominantly European. 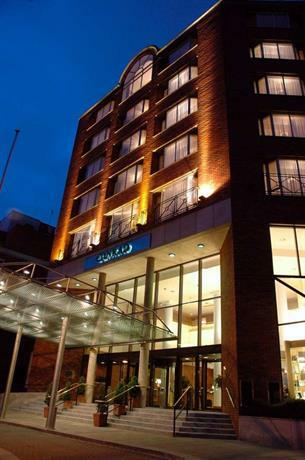 Within walking distance from most of the popular attractions in Dublin, The Croke Park Hotel offers a fantastic combination of convenience and comfort. Situated on Lower Ormond Quay and overlooking the river Liffey, all of the must-visit attractions are just a few steps away from The Morrison Dublin - a DoubleTree by Hilton Hotel. Dine at the hotel’s very own Morrison Grill, listen to live music every Friday and Saturday night at Quay 14 Bar or munch on an Irish breakfast at Halo to satiate your taste-buds. The modern, classy guestrooms come with a flat-screen TV, complimentary Wi-Fi and air conditioning. You can opt from modern rooms with twin or king sized beds while the deluxe rooms come with a mini-bar. The staff are courteous, friendly and always at your service at any time of the day or night. 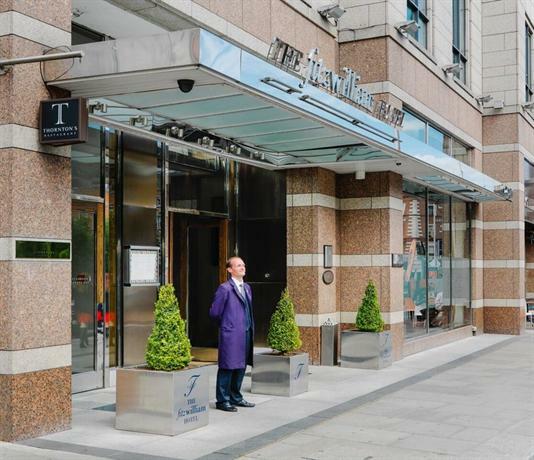 Set amidst an eye-catching location, just a few steps away from Trinity College Dublin and Grafton Street, the Westin Dublin is a boutique hotel that offers personalized and impeccable service to all of their customers. 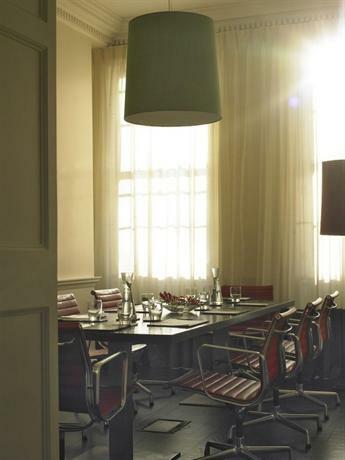 While the food here nourishes the soul and satiates your body, the rooms are chic, imperial looking and stylish. Gorge on mouth watering delicacies, delectable main courses and enjoyable desserts as you choose between The Atrium Lounge that offers you lunch, dinner and afternoon tea, Morelands Grill that is a contemporary urban restaurant, and The Mint Bar where you can share a cocktail or two on your own or with your loved one. When it comes to the suites, you can take your pick from deluxe rooms, writer rooms, classic rooms and western suites that offer you a comfortable stay and comes with Wi-Fi and access to the spa. It makes for a heavenly experience, one you will find too good to be true. The Conrad Dublin hotel is a modern boutique hotel that showcases Dublin as it is today with its incomparable charm, hospitality and culture. The rooms have been newly refurbished in a contemporary style that is sleek and stylish without compromising on comfort. If you have only a few hours to spend in Dublin, this trendy boutique hotel is your best choice of accommodation. Whether you have just 5, 3 or even just 1 hour in this charming city, the hotel will provide you with a customized itinerary to make the most of your short visit in the city. All rooms and suites are equipped with luxurious amenities, a generous mini-bar and uninterrupted Wi-Fi. 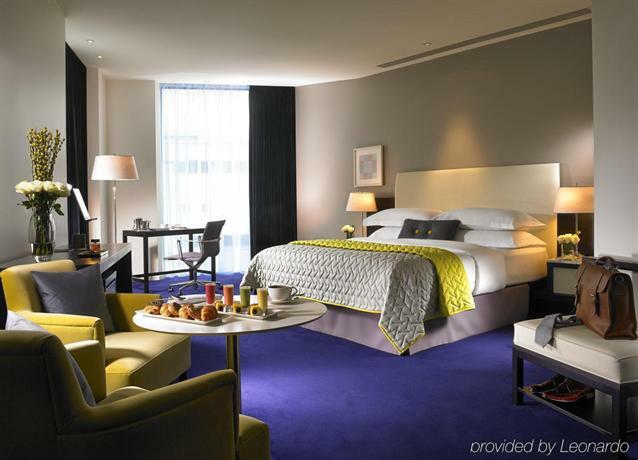 Add to that the trendy decor and tremendous views of the city and you know you’re in for a treat at the Conrad Dublin hotel. While you can indulge in some fitness training with the hotel’s fitness centre and its many cardiac machines and jogging routes, you can sip on afternoon tea, savor locally inspired creations and taste some of the best wines and whiskeys at Alfie Byrne’s by Galway Bay Brewery, The Coburg Brasserie and Lemuel’s Bar and Lounge. Brooks Hotel is a four star boutique at the centre of the food and fashion chains of Dublin and is renowned for its attention to detail, effortless, distinctive style and a personal touch that is offered with all of their services. While you wine and dine at the Jasmine Bar and Café Lounge where you can taste some of the best whiskies, exotic cocktails and fabulous dishes of the world, take in the urban ambience at Francesca’s Restaurant that puts together organic and artisan dishes with locally sourced ingredients. Opt from deluxe rooms, classic rooms, executive bedrooms, junior suites and the presidential suite where free Wi-Fi, king sized beds, flat screen televisions and air conditioning is provided along with meticulous customer service that together make your stay all the more memorable. The Spencer Hotel Dublin exudes a bespoke design and a style that reflects the history of the River Liffey. Glorious glass chandeliers, cool clean lines, urban interiors, oak features and comfortable furniture, the boutique hotel offers insanely classy rooms and suites that come with free WiFi, air conditioning, exclusive toiletries, 24-hour room service and air conditioning. The East Restaurant at The Spence Hotel Dublin offers a top class dining experience as it combines old classic dishes with a modern twist. The restaurant cooks up Asian, Indonesian, Malaysian, Vietnamese, Pan Asian and Japanese gourmet delicacies. If you feel guilty after such a hearty meal, guests can also enjoy complimentary access to The Spencer Health Club that comes with an indoor pool and top cardiovascular equipment. The Hotel is certainly a thorough treat for everyone. 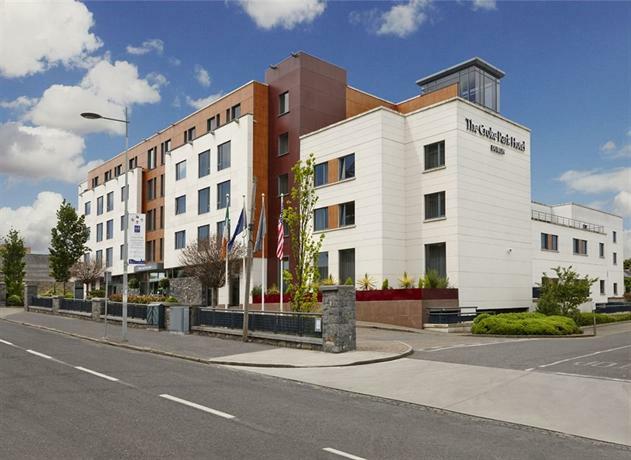 With 225 beautifully appointed bedrooms that radiate a modern, classy appearance, the Ashling Hotel is situated at a prime location as it is adjacent to Heuston Station and all other major attractions. The Superior, Classic, Deluxe and Suite Hotel rooms all come with an in-room safe, free Wi-Fi, a hairdryer and a television set. Warm, friendly staff, spacious bedrooms and cool interiors all blend in to help guests have the time of their life. You can unwind and relax against the cool and chilled out backdrop of the Iveagh Bar as you sample exotic cocktails or devour some of the finest foods at Chesterfields restaurant where the head chef combines local Irish favorites with new style cuisines. This hotel is the ideal choice for anyone looking for a boutique hotel with a relaxed vibe. Amongst the National Museum of Ireland, the National Library of Ireland, Dail Eireann and Trinity College stands Buswells Hotel, a charming and stylish boutique hotel that helps you enjoy your trip to the max. The guest rooms are designed keeping your comfort and convenience in mind and there is a wide range to choose from are plenty. All 67 bedrooms of this Georgian hotel are distinctive and unique in its own way. The Trumans Restaurant at Buswells Hotel offers the highest quality traditional Irish cuisine, all prepared using local produce. If you love the idea of staying in an old-world hotel that is traditional in every way, from the décor to the hospitality, you won’t find anything better than Buswells Hotel. At Hilton Dublin, you can reside right in the centre of the city and be a part of the happenings that go on in the heart of it all. Large windows that open to the outside and well-lit rooms are what greet you at this boutique hotel at first sight. All of the rooms and suites are cozily decorated and equipped with Wi-Fi access, a television set, a mini fridge and tea or coffee making facilities. You can have a wholesome breakfast, grab a snack or catch up on dinner at the Charlemont Bar & Bistro that serves the most inventive dishes, put together with the freshest of ingredients. 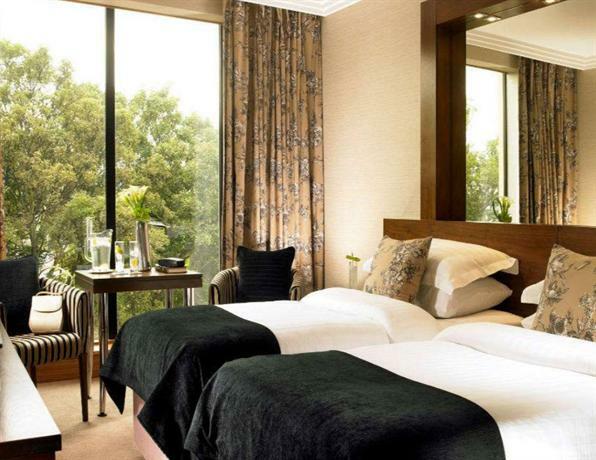 The Hilton Dublin is certainly a heaven for those longing for delectable food and a calm, relaxed stay in Dublin. 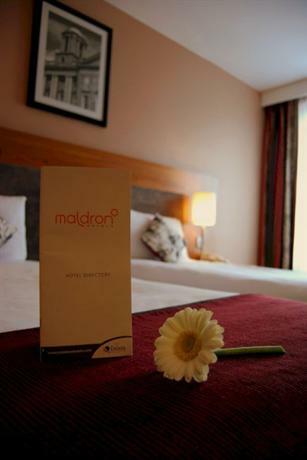 The Maldron Hotel Parnell Square is one of the most centrally located hotels in Dublin and is only minutes away from O’Connell Street. This unique boutique hotel boasts 129 self-sufficient and chic rooms. The interiors combine an abundance of style, comfort and design. You can opt from air conditioned twin, double, triple, family and executive guestrooms. 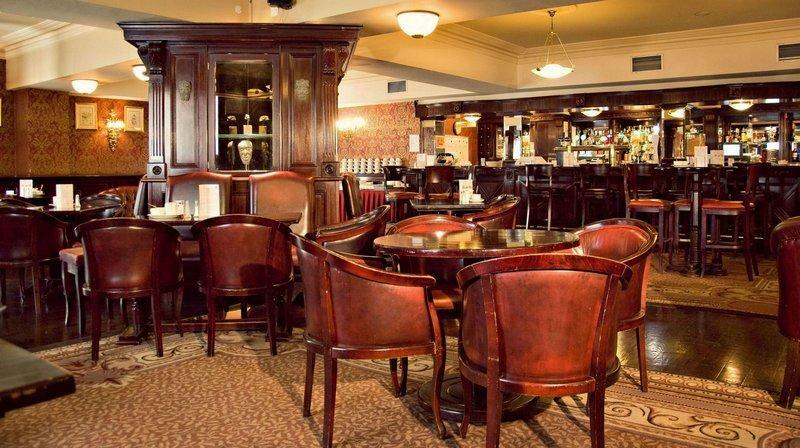 At the Maldron Hotel Parnell Square, you will have a variety of cuisines to choose from and is a special treat to anyone looking forward to fusion food that is inspired by both Irish and European influences. Staying at this boutique hotel is sure to make for an experience that will leave you spellbound by the magic of it all.